Pokemon Green Rom (Download Below) was one of the original Pokemon games and was not initially released outside of Japan. Along with Pokemon Red, Pokemon Green Rom was the first ever Pokemon game to be released in its home country on the 27th of February, 1996. Worldwide, these versions were released as Pokemon Blue and Pokemon Red. However, Pokemon Green Rom garnered a lot of interest abroad and many tried to translate the Japanese version of Green into English. However, certain limitations still remained. One of the main reasons that the original Green wasn’t released abroad was the different sprites, which impacted its success in Japan. Some of the characteristic features in Pokemon Green Rom are the eight gyms found in Kantol the Elite Four; and 151 species of Pokemon. In terms of the nature of the game, both Red and Green start off in Kanto, where each player assumes the initial character of Pokemon Trainer, a ten-year-old boy. He begins by visiting Professor Oak’s Lab, where he can choose from 3 starter Pokemons. His rival will then select his chosen Pokemon’s weakness. During his journey, the character meets various villains whom he must defeat, including eight gym leaders, the Elite Four, and the Champion. After completing this series of challenges, the player becomes a champion. At this point it is still possible to continue battling the Elite Four. In addition, the final stage of the game is to complete the Pokedex, which can grant the player a Diploma. In terms of how it differs from Pokemon Red and Blue, the original Pokemon Green Rom contains a slightly different mix of rare types of Pokemon, and is in Japanese. Also, the cartridge is a classic Gameboy gray- unlike the Red and Blue. The locations of the Pokemon are also different and Pokemon including Lickitung, Jynx and Kadabra are catchable. They also don’t require training an Abra or trading a different Pokemon in order to be acquired. It’s also possible to get HP Ups in Pokemarts in this version. Finally, the Unknown Dungeon of Mewtwo is also different from the one in Pokemon versions Red and Blue. Some have even suggested that it’s not necessary to translate the game because basic knowledge of Red and Blue can equip players with enough resources to navigate the Japanese Green. There has been a more recent version of Pokemon Green Rom called Pokemon Leaf Green, which adds additional content and features to the original Pokemon Green Rom game. 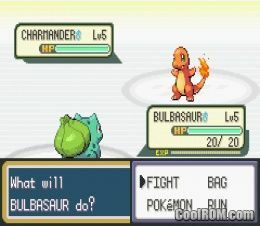 In addition to the classic role-playing concept, Pokemon Leaf Green makes it possible to collect monsters such as Ruby, Sapphire and Colosseum from various Pokemon segments. 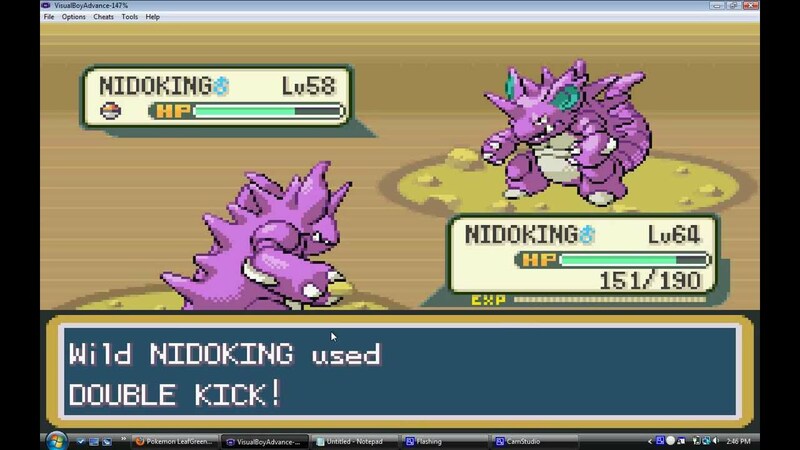 Overall, Pokemon Green Rom was clearly a revolutionary game in the Pokemon series. Although the “beat them all” format may appear simple and child-like in the beginning, the game design is actually a lot more complex and captivating. The concept of raising one’s own Pokemon, overcoming numerous challenges and eventually cultivating an entire team has captured entire generations of enthusiastic Pokemon players. We in no way condone downloading ROMs from any source, it may even be illegal in your country. Please check your local laws before doing do.